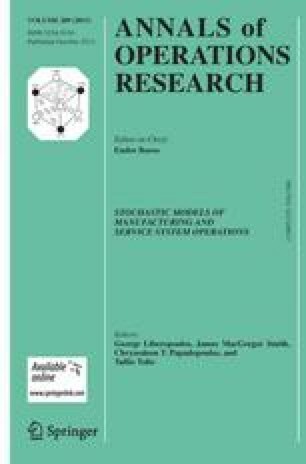 We study a variant of the stochastic economic lot scheduling problem (SELSP) encountered in process industries, in which a single production facility must produce several different grades of a family of products to meet random stationary demand for each grade from a common finished-goods (FG) inventory buffer that has limited storage capacity. When the facility is set up to produce a particular grade, the only allowable changeovers are from that grade to the next lower or higher grade. Raw material is always available, and the production facility produces continuously at a constant rate even during changeover transitions. All changeover times are constant and equal to each other, and demand that cannot be satisfied directly from inventory is lost. There is a changeover cost per changeover occasion, a spill-over cost per unit of product in excess whenever there is not enough space in the FG buffer to store the produced grade, and a lost-sales cost per unit short whenever there is not enough FG inventory to satisfy the demand. We model the SELSP as a discrete-time Markov decision process (MDP), where in each time period the decision is whether to initiate a changeover to a neighboring grade or keep the set up of the production facility unchanged, based on the current state of the system, which is defined by the current set up of the facility and the FG inventory levels of all the grades. The goal is to minimize the (long-run) expected average cost per period. For problems with more than three grades, we develop a heuristic solution procedure which is based on decomposing the original multi-grade problem into several 3-grade MDP sub-problems, numerically solving each sub-problem using value iteration, and constructing the final policy for the original problem by combining parts of the optimal policies of the sub-problems. We present numerical results for problem examples with 2–5 grades. For the 2- and 3-grade examples, we numerically solve the exact MDP problem using value iteration to obtain insights into the structure of the optimal changeover policy. For the 4- and 5-grade examples, we compare the performance of the decomposition-based heuristic (DBH) solution procedure against that obtained by numerically solving the exact problem. We also compare the performance of the DBH method against the performance of three simpler parameterized heuristics. Finally, we compare the performance of the DBH and the exact solution procedures for the case where the FG inventory storage consists of a number of separate general-purpose silos capable of storing any grade as long as it is not mixed with any other grade. The work in this paper was supported by grants MIS 03ED913 “Optimization of production planning and grade distribution of a PET resin chemical plant” and MIS 379526 “ODYSSEUS: A holistic approach for managing variability in contemporary global supply chain networks,” which were co-financed by the European Union (European Social Fund) and Greek national funds through the Operational Programs “Competitiveness” of the 3rd Support Framework of the European Community (Research Funding Program: PENED—Reinforcement program of human research manpower) and “Education and Lifelong Learning” of the National Strategic Reference Framework (Research Funding Program: THALES—Reinforcement of the interdisciplinary and/or inter-institutional research and innovation), respectively. The first grant was also co-financed by private funds from Artenius Hellas S.A. PET Industry. Löhndorf, N., Riel, M., & Minner, S. (2012). Simulation optimization for the stochastic economic lot scheduling problem with sequence-dependent setup times. Optimization Online. http://www.optimization-online.org/DB_HTML/2012/10/3661.html.